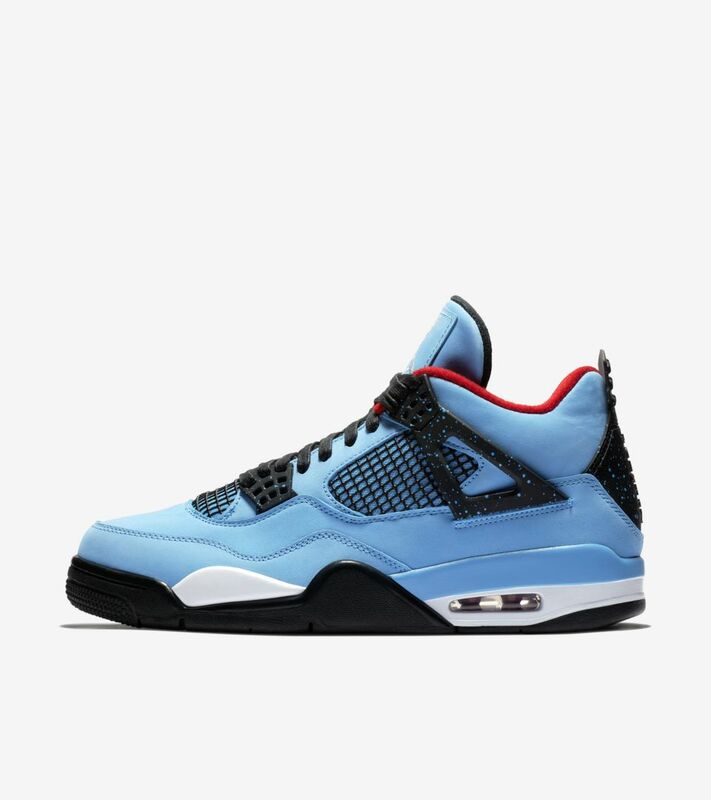 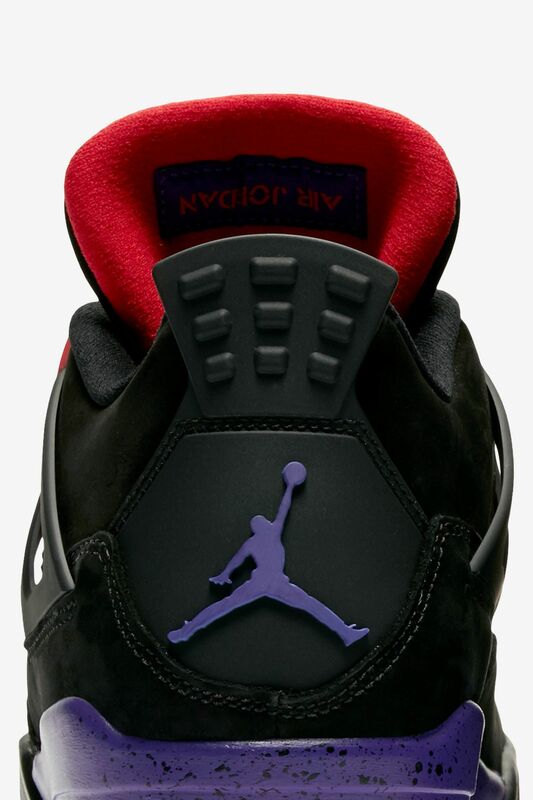 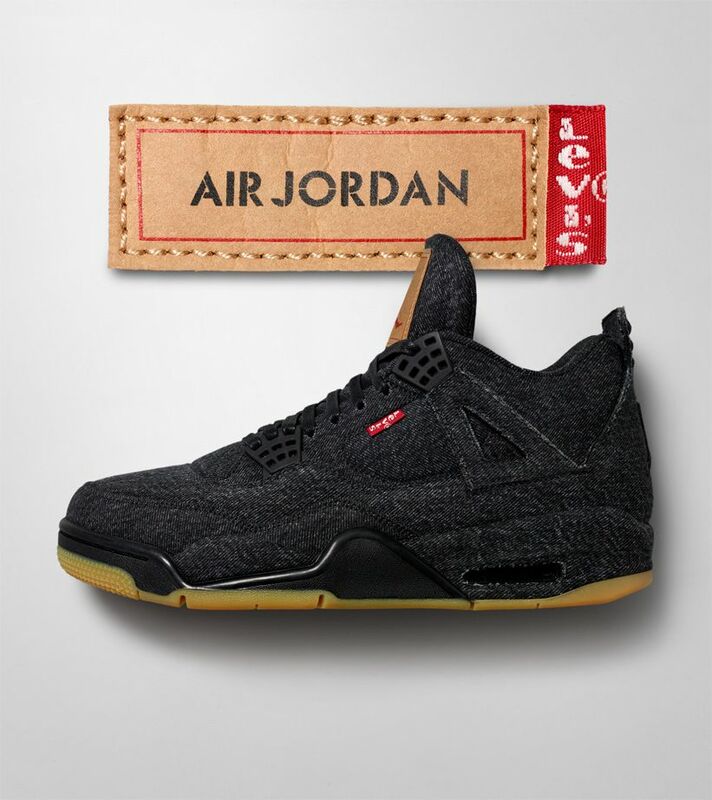 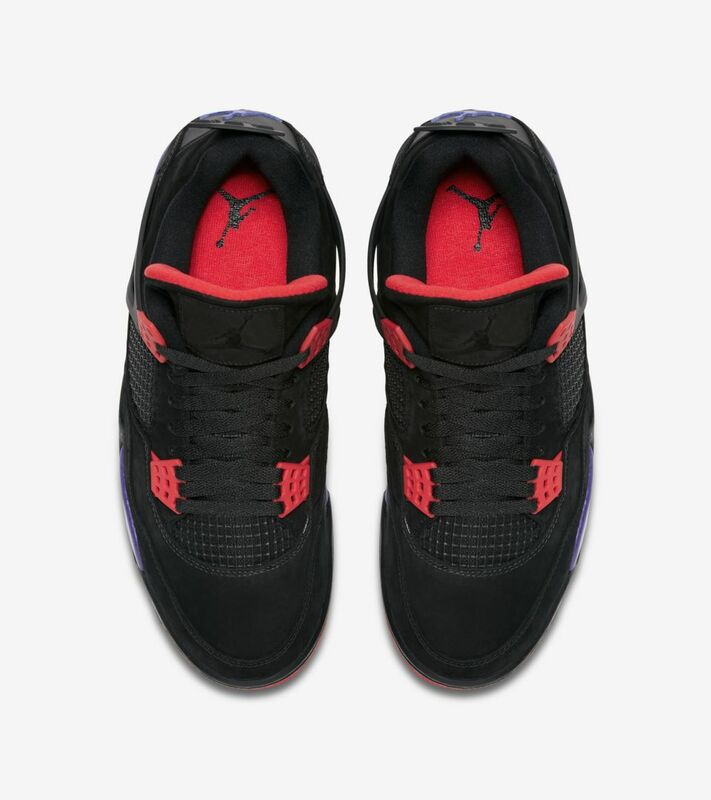 After the eye-catching exotic materials and visible Air unit used on its predecessor, the Air Jordan IV's design took it a step further with even more visible technology. 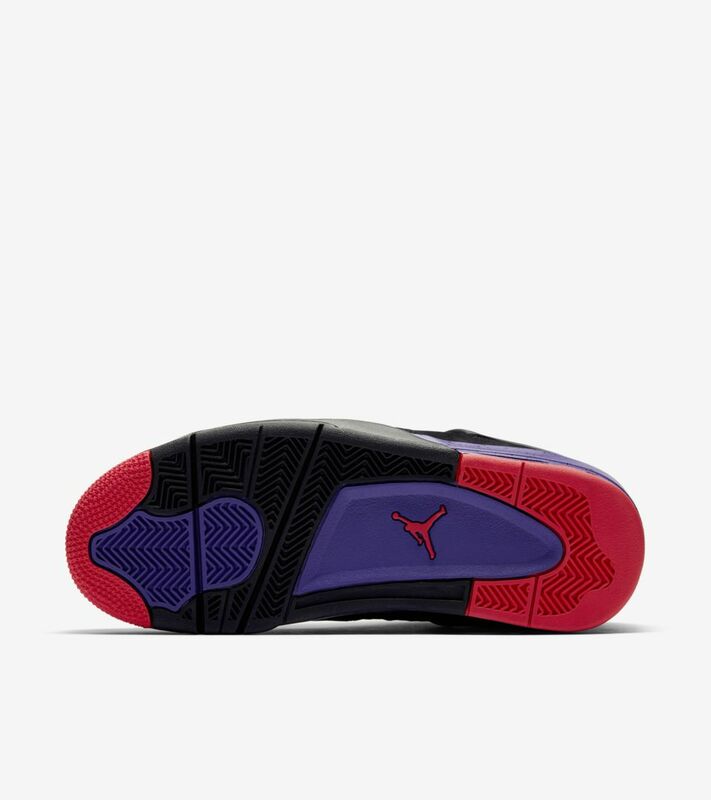 Its mesh panels, supportive "wings" and re-engineered lace locks introduced new standards of comfort and lockdown to the signature shoe. 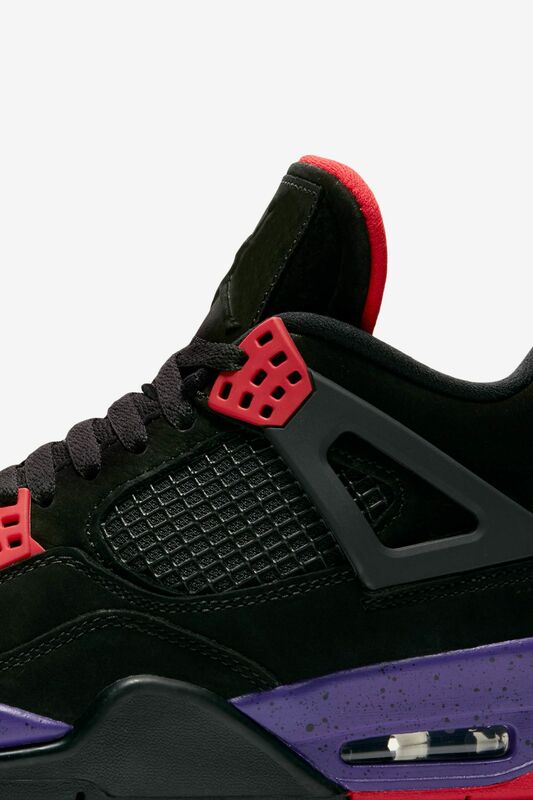 Still, despite its basketball performance roots, the shoe still resonates just as much for its off-court style, if not more. 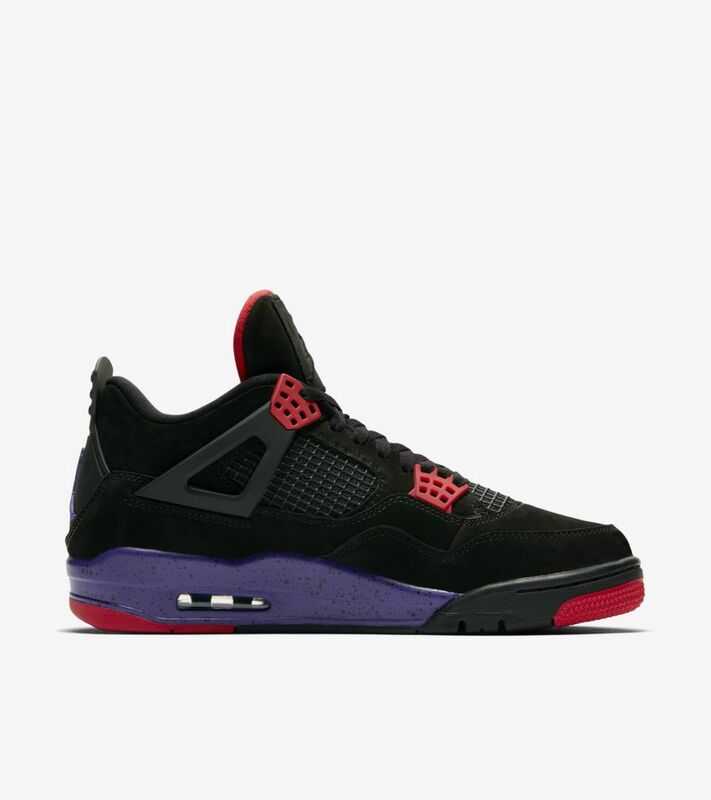 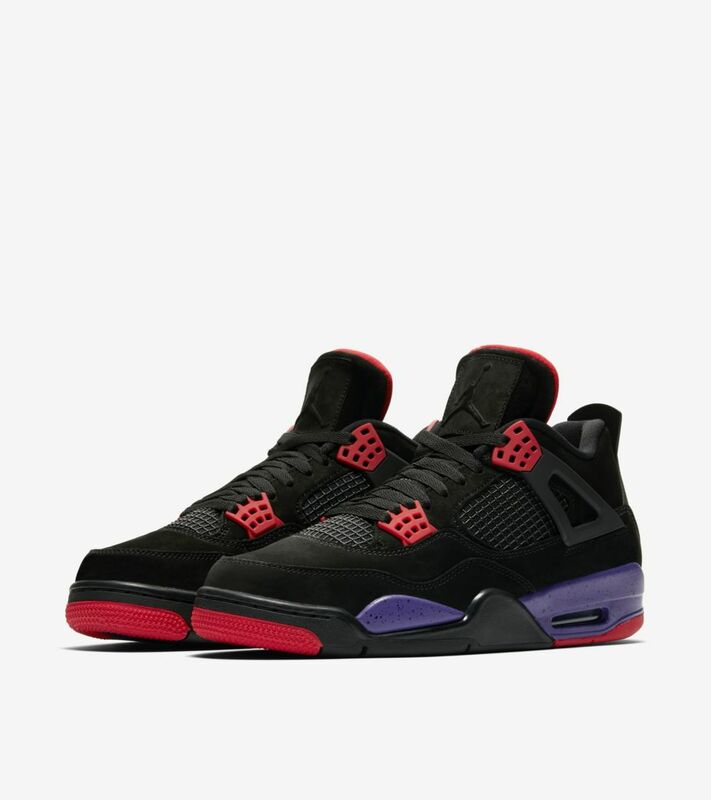 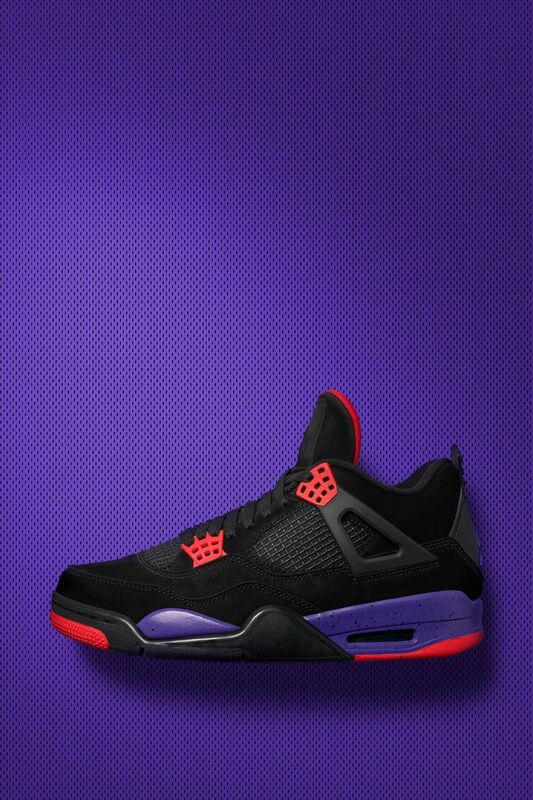 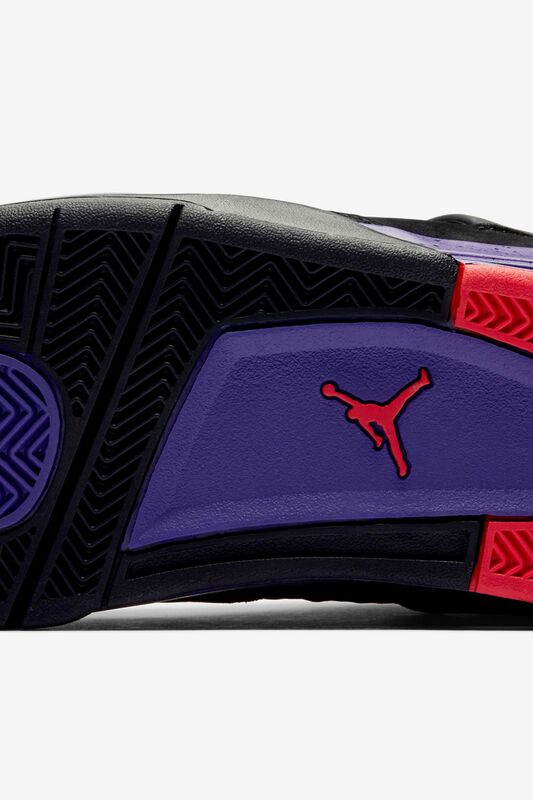 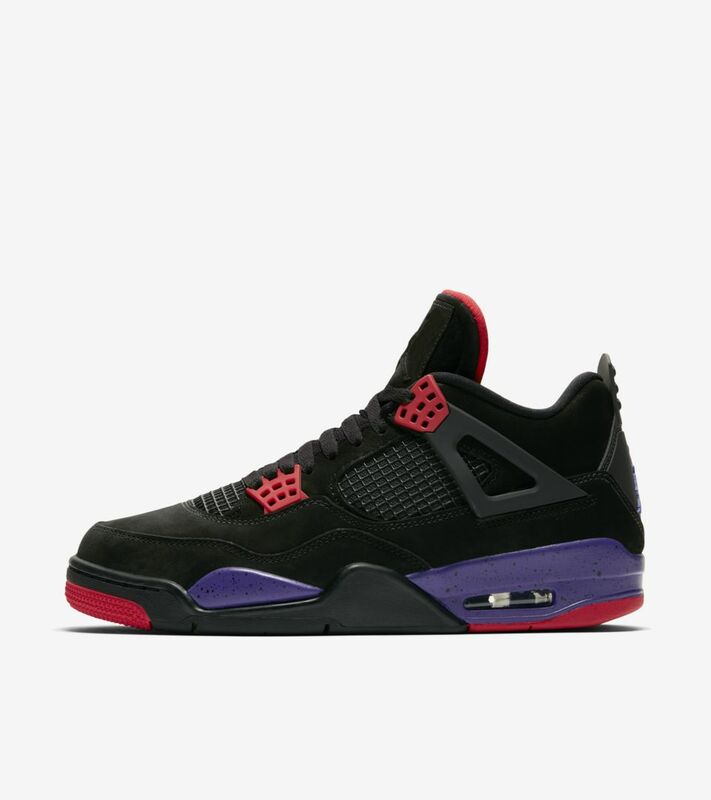 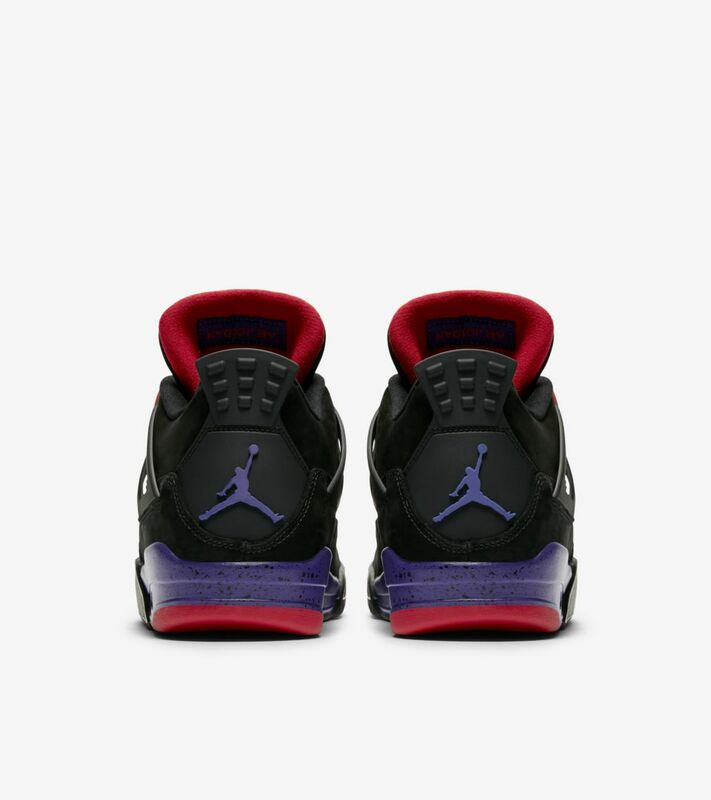 The latest colourway arrives in Black/University Red-Court Purple.